Darby Metalworks, Inc. – "A Leading Force in the Metal Fabrication Field"
Darby’s newest addition to help serve our customers better! Ask what our new AMADA Fiber Laser can do for you. Fiber cuts 4x faster in thin materials than a CO2 laser and matches speed and quality in thick materials up to 1 inch. Our Newest Addition to better serve our customers! 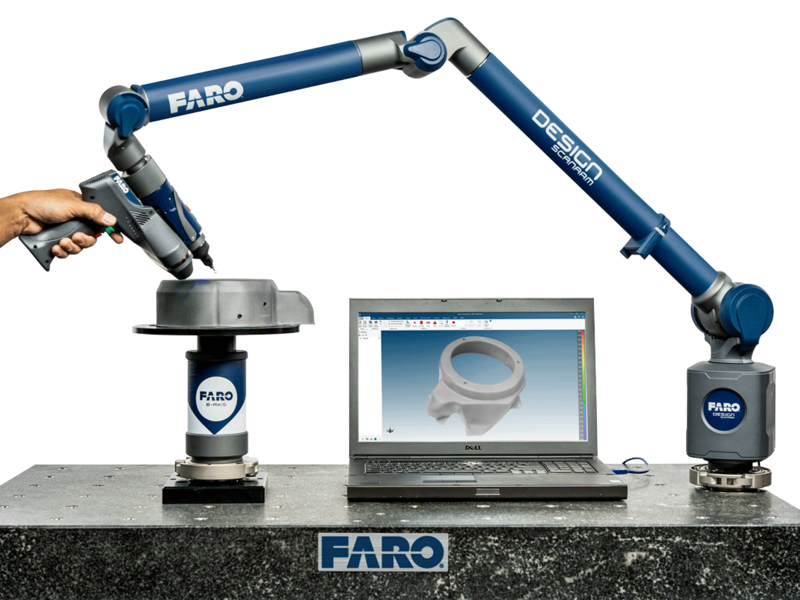 We can now serve our customers metrology needs with our acquisition of FARO’s newest product the FARO 8-Axis QuantumE FaroArm. Quantum Arms are the first Arms in the market that are certified against ISO 10360-12:2016 for articulated arms, ensuring maximum measurement consistency and reliability. Our CMM solution can provide First Article Inspection, In-Process Part Inspection, Final Inspection, CAD-Based Inspection, and Reverse Engineering services as requested. We are able to measure parts within the arms 2.5 meter reach and parts of any size with the arms leapfrogging abilities. The 8-Axis is a real-time rotational axis that integrates with the arm to allow part rotation and can extend the arms reach. By utilizing the 8th-axis the inspector can rotate the part allowing greater access and efficiency during inspection. 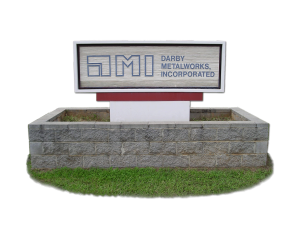 Darby Metalworks, Inc.(DMI), a leading precision metal fabrication business, was founded in 1977 and currently employs over 40 people. We are located in a 45,750 square foot facility in Anderson, S.C.
DMI has the professional staff and modern facility to handle fabrication and production of all sizes and lots, and this flexibility can provide any special services you require. We stand ready to provide you with a complete product, from concept design to delivered end items. At DMI, quality is a policy, not just a goal. This is established through our Engineering Department’s design and manufacturing procedures. Our Quality Assurance Department carefully inspects jobs in various stages as they are being fabricated. Once complete, a final inspection is performed. First article inspections with quality analysis reports are supplied when needed. DMI is an OEM supplier for several large corporations as well as a custom metal fabrication facility. We specialize in precision fabrication, machining, welding, painting and assembly of production components. We make production fabrications and components for the following types of equipment: earth moving, railroad repair, electrical enclosure, telecommunication, military defense, apparel frames and racks, food services, power generation and home construction. We also have a field estimating/service group that offers custom field consultation, design, fabrication, and installation. Materials and grades used in our fabrications include, but are not limited to, carbon steel (CRS, HRPO, A36) from light sheet metal up to 8″ thick high strength-low alloy plate (A572Gr.50, A514 T-1 Abrasion Resistant plate), G-90 galvanized sheet and structural, type 304 and 316 stainless steel, 3003, 5052 and 6061 aluminum, copper, brass, Inconnel, Hastelloy X, and L-605 Cobalt. All forms of materials from structural, solids, sheets and plate are used in our fabrication processes. Whether we design your product for you or work from your drawings and specifications, we give special attention to the fabrication and building of your product and provide exceptional service to you, our clients. When you require quality metal fabrication, contact Darby Metalworks, Inc. Our quality, support and service will assure your leadershop in today’s marketplace.